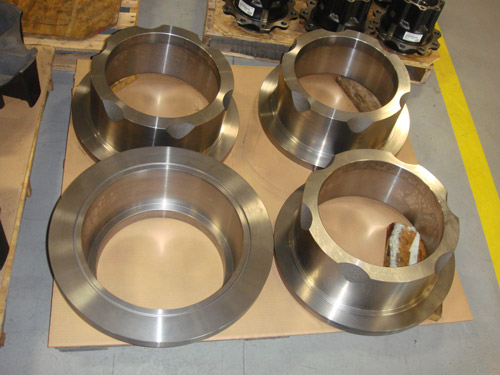 At Swihart Industries, Inc., we provide precision CNC machining services to a variety of industries. 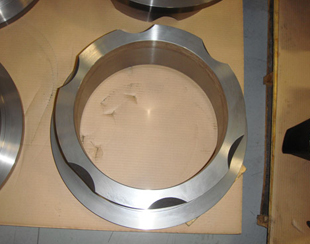 For this project, we machined ductile iron unloader heads for our customer in the gas compression equipment industry. Unloader heads are essential in handling the pressure in a compressor; they must perform flawlessly and stand up to harsh environments in the field. 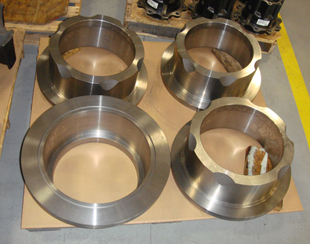 Our customer is the primary manufacturer of large, round, parts for the gas compressor industry and previously did all of the machining for these unloader heads in-house. They only contacted Swihart because of capacity issues at their own facility. After receiving the finished parts from us, the customer was so satisfied with our quality, flexibility, and delivery services that they no longer machine the parts themselves, and has given us 100% of the machining business for these unloader heads. 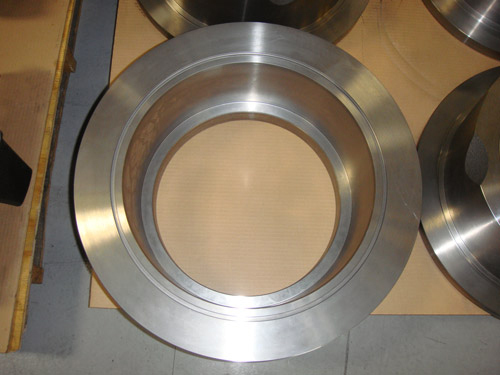 Each unloader head measures 22.005" in outer diameter by 8.443" high. 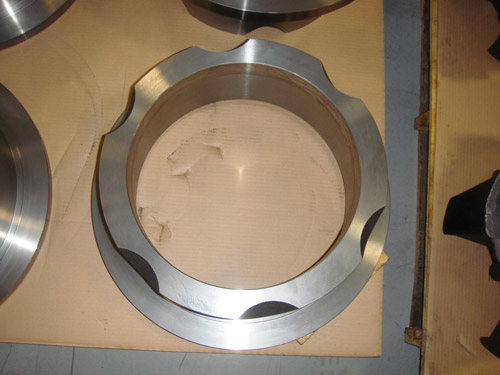 We started with the initial rough casting, and then finished the part using our precision CNC turning equipment before drilling and tapping them in our CNC milling machine. 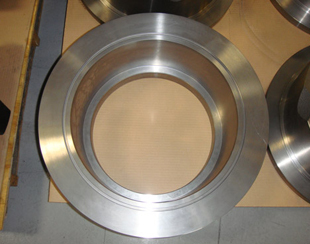 The finished pieces have a surface finish of 63 RMS on all machined surfaces and meet dimensional tolerances of +/- .004". For more information about this precision CNC machining project, see the table below, or contact us directly.